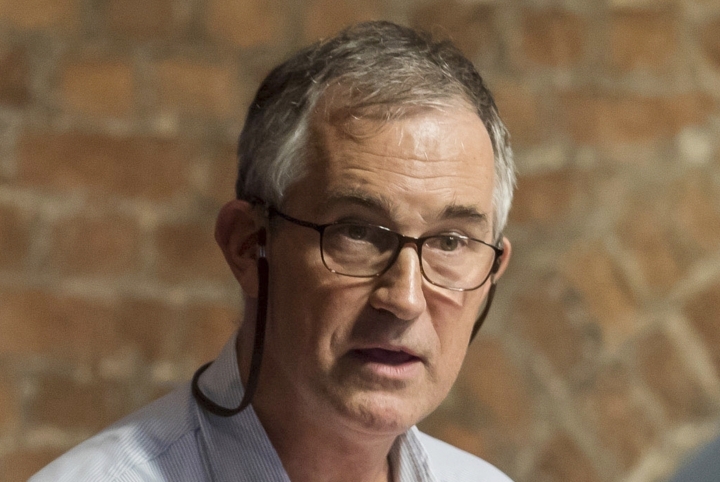 HONG KONG — Hong Kong authorities have refused to renew the work visa of a senior editor of the Financial Times, the newspaper said Friday, a move that came after he chaired a talk by a pro-independence activist that drew Beijing's ire. Rights groups called the rejection the latest sign of Beijing's expanding restrictions on the semi-autonomous Chinese territory. The London-based newspaper said in a statement that it was given no reason why Asia news editor Victor Mallet's application was rejected. "This is the first time we have encountered this situation in Hong Kong," it said. 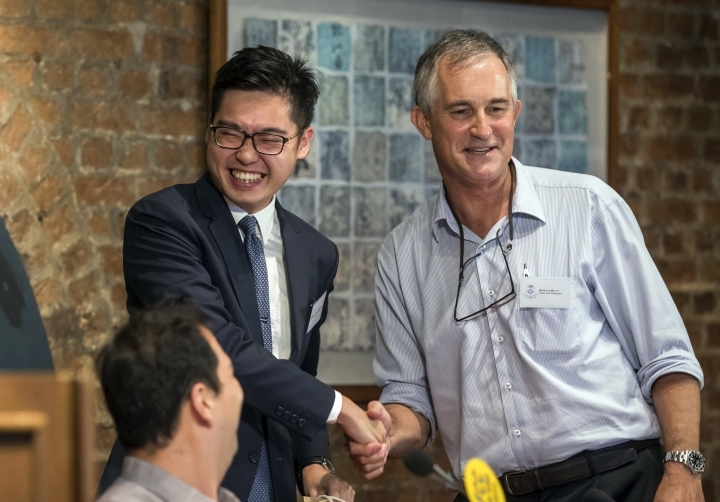 While no direct connection has been made, many have linked Mallet's situation to his role as vice president of Hong Kong's Foreign Correspondents' Club, an institution dating back more than 75 years to when the Asian financial hub was a British colony. The club recently drew criticism from the authorities for hosting a talk by the leader of a now-banned pro-Hong Kong independence party. It was unclear whether there was a connection between that event and the denial of Mallet's visa. In response to a query from The Associated Press, Hong Kong's immigration department said it would not comment on individual cases but that it makes visa decisions in accordance with the law. "In handling each application, the Immigration Department acts in accordance with the laws and prevailing policies, and decides whether to approve or refuse the application after careful consideration of individual circumstances of each case," it said in a statement. 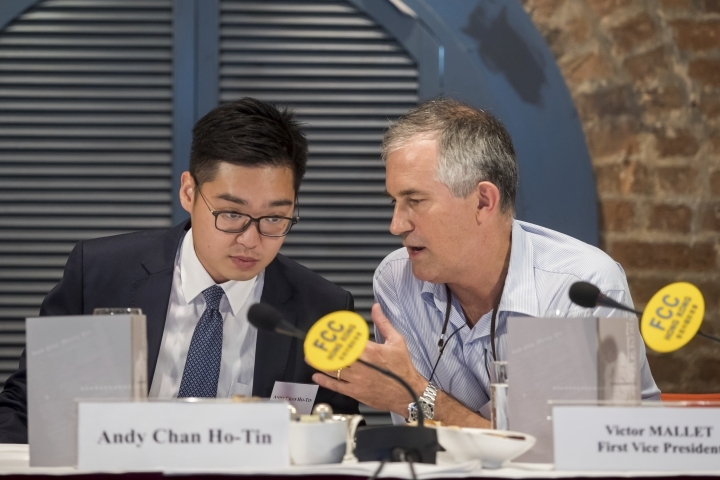 The foreign correspondents' club said Friday it was deeply concerned by the visa denial and that it was expecting "a full explanation from the Hong Kong authorities for this extraordinary move, which is extremely rare, if not unprecedented." It said the authorities should rescind their decision if they don't provide any "reasonable explanation." Maya Wang, Human Rights Watch's senior China researcher based in Hong Kong, said in a statement that the rejection of Mallet's visa was "shocking and unprecedented" and showed growing intolerance of views unpopular with authorities. The rejection "smacks of Beijing-style persecution of critics" and, together with the banning of the Hong Kong National Party, "indicates a quickening downward spiral for human rights in Hong Kong," she said. Jason Y. Ng, president of the Hong Kong branch of the international writer's group PEN, said the visa rejection "appears to be naked retaliation by the authorities to punish the FCC." 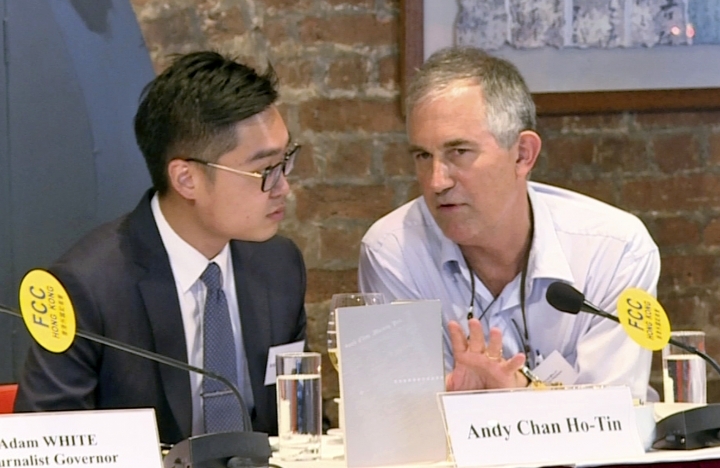 "This will have an immediate chilling effect on freedom of expression in the city" that will "directly harm Hong Kong's image as an open, 'world' city that abides by the rule of law," Ng said. The visa rejection is likely to raise further questions about Beijing's growing influence in the territory. Hong Kong was promised semi-autonomy as part of its 1997 handover from British rule. Chinese President Xi Jinping and other officials have warned that separatist activity would not be tolerated, calling any challenge to Beijing's authority a "red line" not to be crossed. The perception that Beijing is undermining Hong Kong's elections and freedom of speech is inspiring young activists to call for greater autonomy, if not outright independence. "Now Hong Kong rightly prides itself on its reputation as a place where the rule of law applies, whether it's freedom of speech and freedom of association, all enshrined as you know, in the Basic Law," Mallet said, referring Hong Kong's mini-constitution. In his remarks, Chan said he, his family and acquaintances had been "subjected to a level of physical surveillance that I have never experienced before." That echoed the testimony of mainland-based critics of Beijing, who say their personal freedoms and physical and economic security have increasingly come under threat in recent years. Journalists in Hong Kong have generally faced few of the restrictions imposed on their colleagues in mainland China, where domestic media are heavily censored and foreign reporters often face obstructions from local officials when reporting on topics deemed sensitive. In August, the U.S. Embassy in Beijing said it was "deeply concerned" after authorities refused to issue a new visa for an American correspondent for BuzzFeed News. During her six years in China, reporter Megha Rajagopalan had reported extensively on human rights abuses and the plight of China's Uighur (WEE-gur) Muslim minority, among other subjects. Chinese authorities said she was not a resident correspondent, indicating she had been on short-term visas that are not meant to be handed out indefinitely.